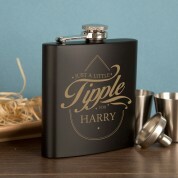 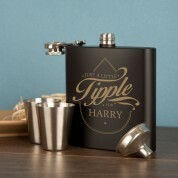 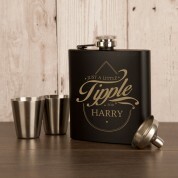 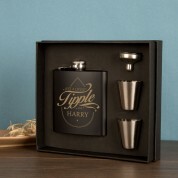 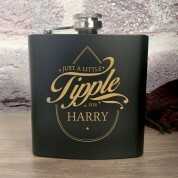 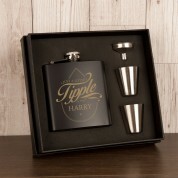 Why not give the gift of “Just a Little Tipple”? 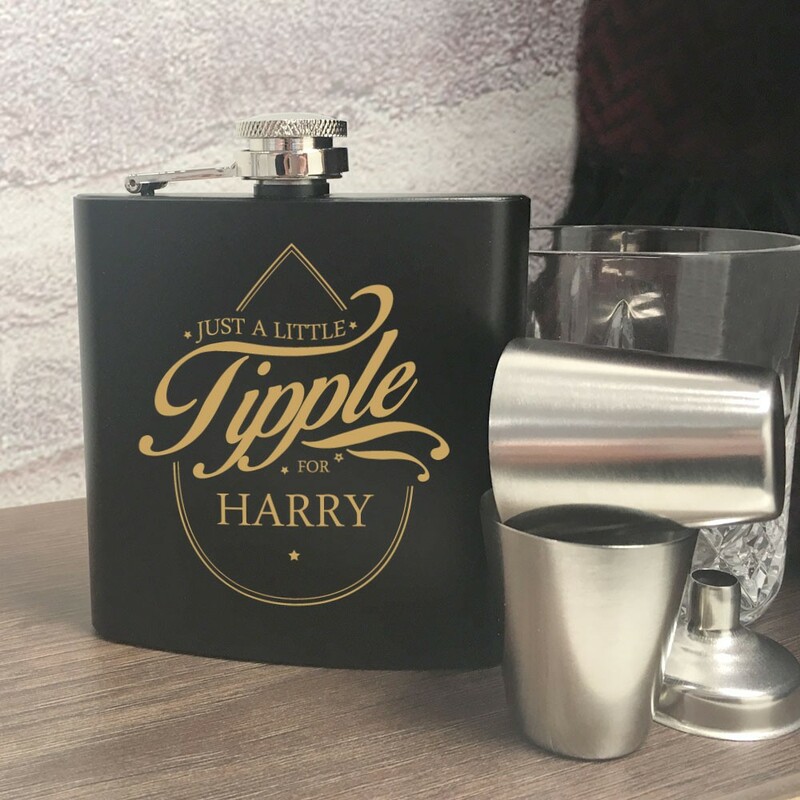 Our beautiful matte black anodised hip flask is the perfect gift for someone who enjoys a “little tipple” every now and again. 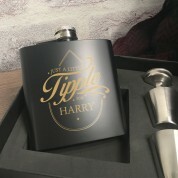 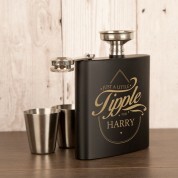 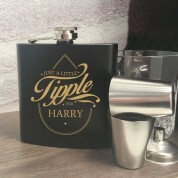 Our professional in-house team will engrave the hip flask with your tipple lovers first name and it will be sent in a stylish black presentation box with 2 measure cups and a funnel for easy filling.